« Does Microthemer Really Work With Any Theme Or Plugin? We’re very pleased to announce the release of our long awaited responsive tutorial. 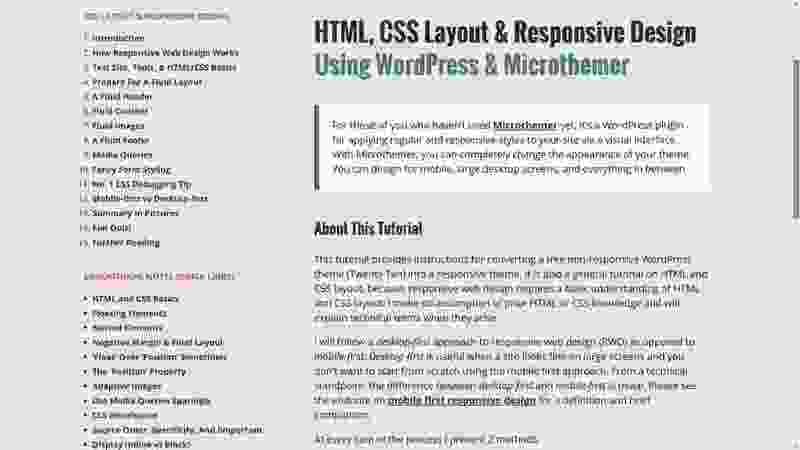 It teaches the basics of designing responsively with the help of WordPress and Microthemer. It took some time to write. Partly because we couldn’t teach responsive design without also teaching the basics of HTML and CSS. So we’ve put together a crash course on everything you need to know. We recommend that you read our tutorial from start to finish. We’ve set up an online testing area so that you can easily follow each step in the tutorial without having to set up a dummy WordPress install yourself. Register for a testing site here. Once you’ve set up your testing site, we recommend that you open the responsive tutorial in a separate tab for easily switching between the instructions and implementing the steps yourself. We think that the interactive nature of our tutorial will help cement your learning. If you complete it, we have no doubt that you will be able to accomplish far more with Microthemer. And working with Microthemer will be far more enjoyable. We’ve prepared a fun quiz for you to try once you’ve completed the responsive tutorial. But feel free to take the quiz now if you think you can get the ‘HTML & CSS Genius‘ rank already! We’ve also updated Microthemer’s in-program CSS reference with tutorials specific to individual CSS properties, or groups of properties. This resource is hosted within Microthemer itself to ensure it loads as quickly as possible. 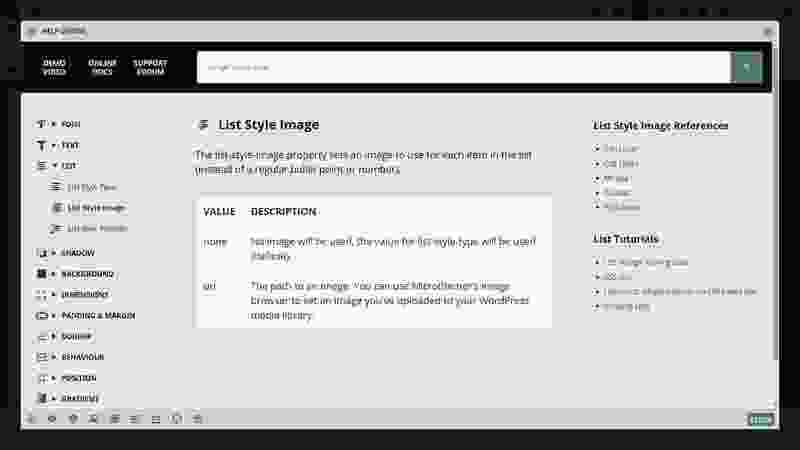 We would like to update and improve the responsive tutorial with the help of your feedback. So as always, please let us know what you think! You can raise support issues here too if they relate directly to the tutorial content.